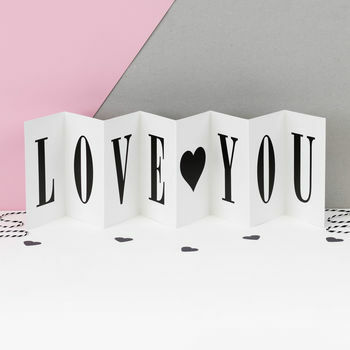 Amazing black and white concertina love card. 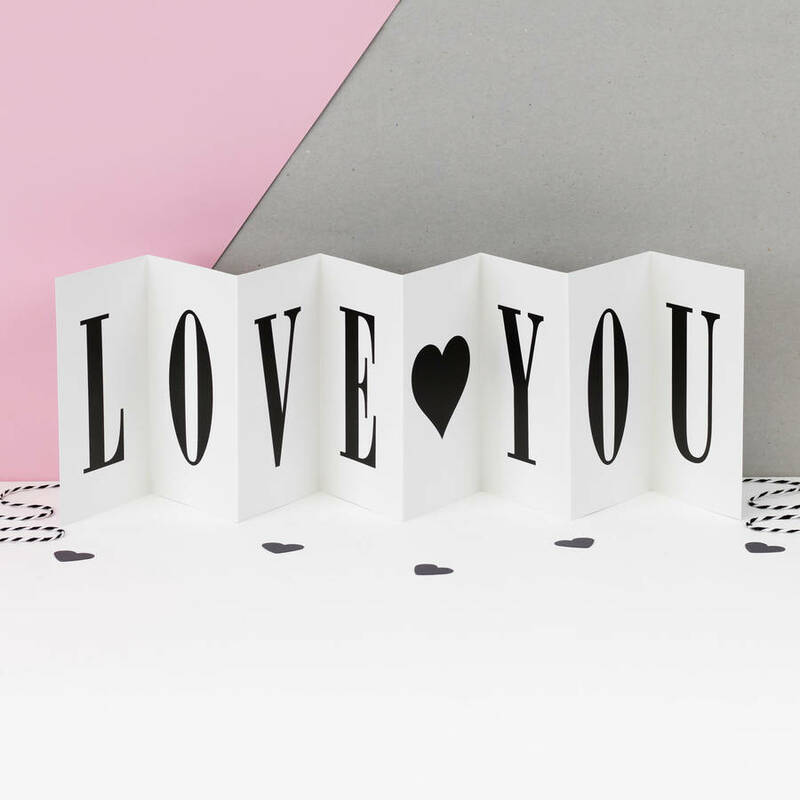 Send to someone on Valentine's Day and they get a love card they can keep forever. 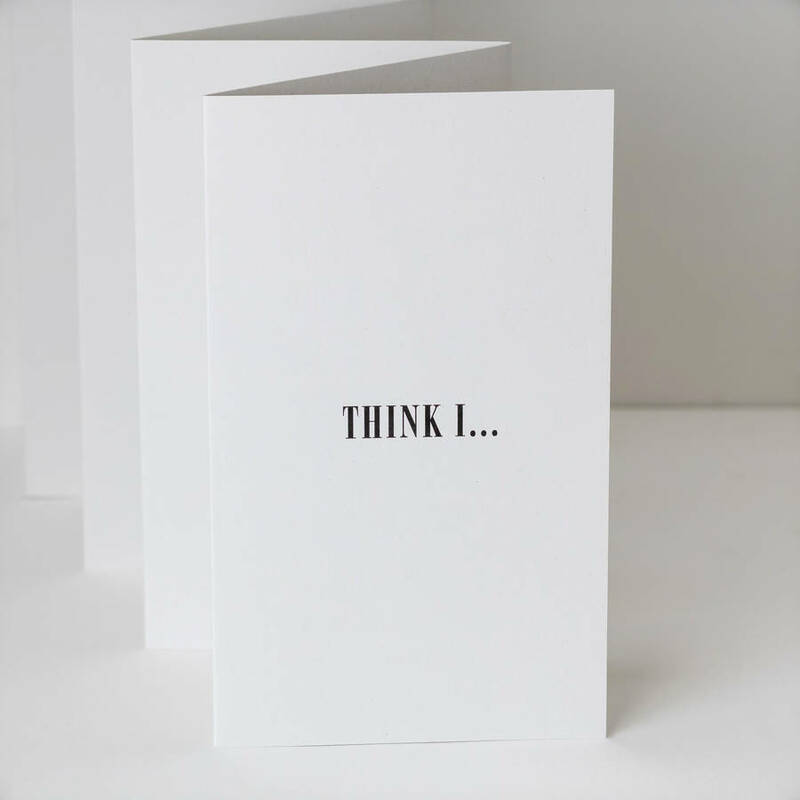 This card is left blank on the reverse side for your own words. You can also choose to send this order direct to the recipient; perfect if you're overseas or in a hurry. 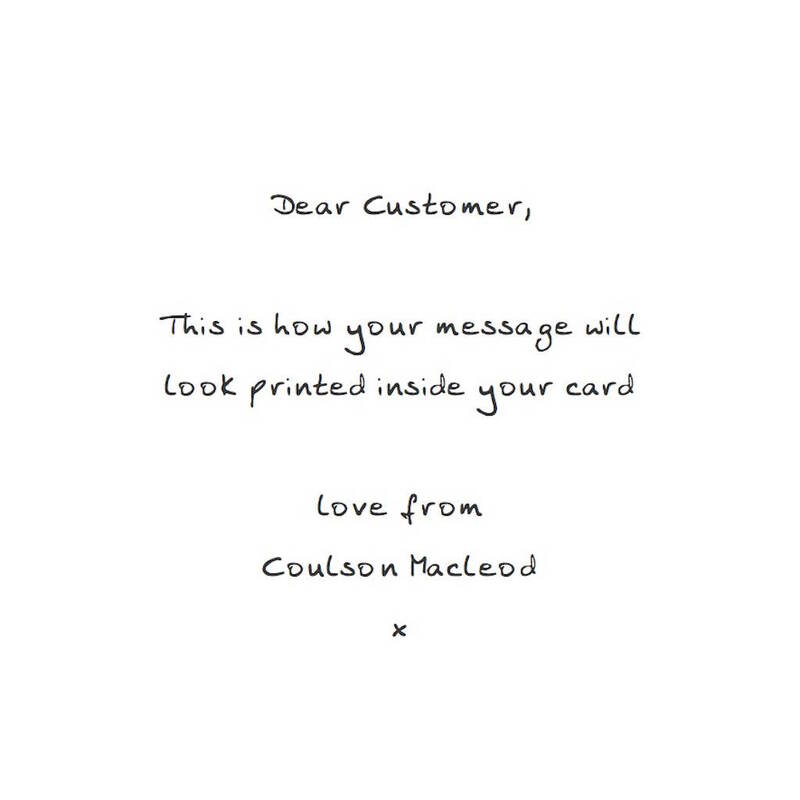 A card chosen with this option will have the message printed on the card exactly as typed in the text box and sent in the white envelope directly to the delivery address provided. We will not send the receipt to the recipient. A card sent direct will not include the cellophane bag or rigid envelope. Uncoated 300gsm heavyweight matte 100% recycled paper.